On Staten Island, electrolysis is a very ordinary process of hair removal. This method is popular because it is the most permanent option of removing hair from the body. Contrary to popular belief, electrolysis is not a painful procedure. In fact, the process is supposed to involve little to no pain whatsoever. Like any form of hair removal, there is nominal pain associated with electrolysis, but most clientele claims that it is more of a shock than an actual sensation of pain. As technology improves, the discomfort associated with electrolysis decreases. These days, electrolysis pain is relatively nominal and has been significantly reduced by the enhancements made to the equipment. 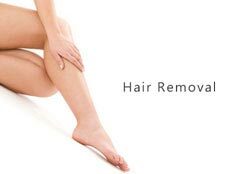 People can get the same result of hair removal at a less intense setting. The process of electrolysis is destroying hair follicles, so any new client should expect to feel a very minimal amount of discomfort. Pain levels can increase if an individual has ingrown hair or an extremely low pain threshold. If you are sensitive to pain, some numbing creams can be used to reduce sensations. These creams can be applied before or after the procedure and are available at hair removal salons and Electrolysis salons in Staten Island. If you want to know more about Electrolysis, contact an electrolysis salon on Staten Island for more information!